Gun-rights advocates and other extremists act like every attempt to create sane and logical regulations on guns is a fascist assault on their freedom. But a quick look at other nations shows this to be untrue. Luckily for us, some of our politicians decided to defend our second amendment! Oklahoma state senators meet late on Wednesday night to approve a bill that allows adults to carry guns without a license. The Tulsa World reported that the measure passed 33-9 on a vote just before 11 p.m. after it was added to the agenda late in the afternoon. 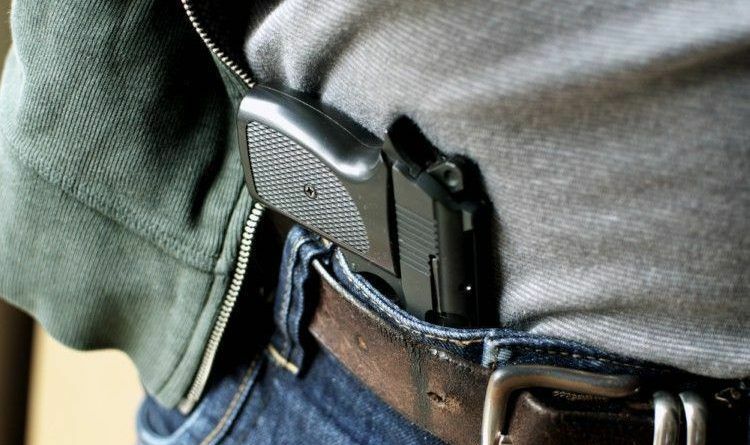 The “constitutional carry” bill allows people who are 21 or older and military personnel who are 18 and older to carry a firearm without a permit. The bill’s author, state Sen. Nathan Dahm (R), said it does not change current laws that prohibit guns from being taken to elementary schools, colleges, universities and government buildings. Democrats questioned whether they should allow people with no training or who are not responsible enough to get the permit to carry firearms. People are required to get a license to drive a car, state Sen. Kevin Matthews (D) pointed out. Dahm responded by saying the Second Amendment guarantees a constitutional right to bear arms — not drive a car. State Sen. Kay Floyd (D) said legislators were not able to properly vet changes to the bill made in the House before the late vote. “A major policy change should not be made at 10:45 p.m. in the evening a few days before sine die,” Floyd said, referring to the end of session.